Once upon a time, I ate a very large meal. To my immediate distress, my first thought after this meal was, "But, why am I not full?" I shared this sentiment and confusion with my close friends who, to my relief, agreed with me. Why can we eat so much? Why do we end meals thinking, "What's next?" Why? WHY? As the result of these ongoing conversations, one particularly bleak day during this winter's never-ending polar vortex, came the creation of Why Am I Not Full?. Which is an informative platform on which we ponder the age old question, "Why am I not full?" That being said, I truly always try to maintain a healthy lifestyle. When I’m eating right and working out regularly I feel better inside and out. For real. 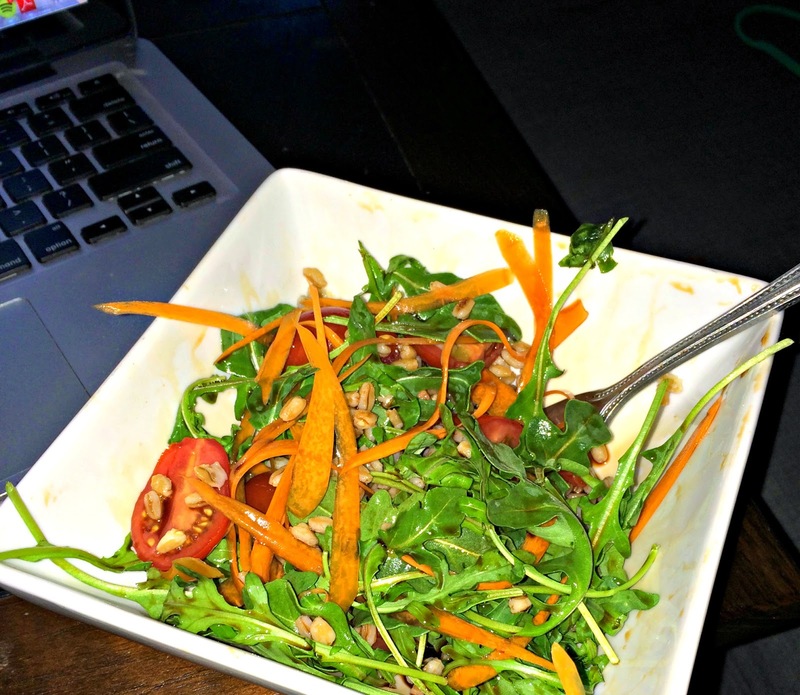 I also love reading blogs where the authors share their daily eats. I find so many great ideas for meals I've never considered (adding peanut butter to my oatmeal was literally life changing) and also, it's nice to see what other people eat in an average day. Is that strange? I love it. As blogging is new to me, I thought it would be fun to make a post of what I ate - but I sort of failed. Nevertheless, I took pictures of my breakfast and lunch on Monday and 100% forgot to capture snacks and dinner. Also, I know you didn’t miss that these meals are from Monday…and it’s Thursday….but, I digress. 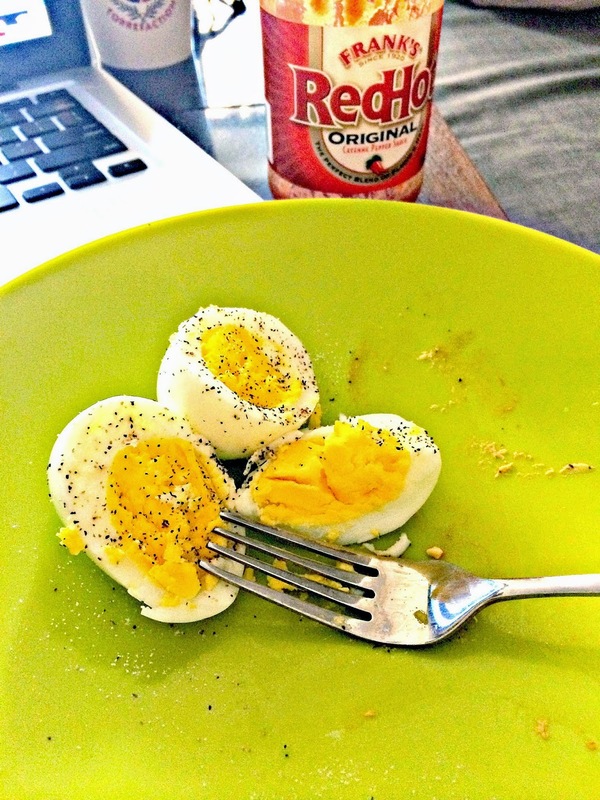 For breakfast, I ate some hard boiled eggs topped with salt, pepper and Frank’s Red Hot. Which I think is my favorite hot sauce or maybe my hot sauce of the moment. Anyway, I wanted something that was easy and would fill me up for a while (read: lazy monday morning). I had an apple after that. And for lunch I made a salad. I’m going to take a moment here to discuss with you peeled carrots because it’s changed my salad game. Thanks to my roomie we now by whole carrots instead of our standard baby carrots, which are great for dipping in hummus but not so great when you try and cut them up into your salad. I always end my salad with a bunch of carrots pieces at the end and they don’t blend as well with the other ingredients. Amirite? But, if you take a whole carrot and peel the outside, and then use the same peeler to create carrot ribbons it truly elevates your salad. The flavors blend and the crunch isn’t as overwhelming. Do it, really seriously, do it. 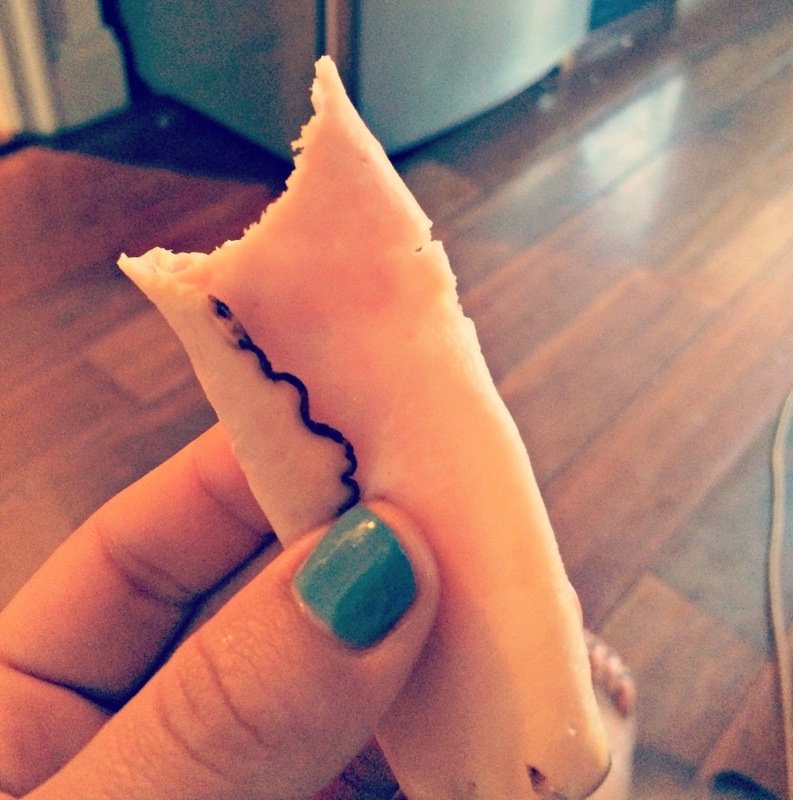 Also, I had a few slices of Honey Maple Turkey. And that nail polish, while not experiencing its finest moment in this picture, is a great Spring to Summer color - truth or flare by Essie. I won’t bore you with discussion aobut the rest of what I ate on Monday but this was a nice introduction. Until next time.